Volunteer in South Africa for a chance to be involved with the incredible conservation efforts of the world renowned Shamwari Game Reserve. The Shamwari Conservation Experience is situated in the Eastern cape of splendid South Africa, filled with vibrant land and some of the world's most iconic and vulnerable wildlife. This project was established to return the land (25,000 hectares of once derelict farmland) back to its former glory, and provide its previous animal inhabitants with a home once more. Over the past twenty three years, a dedicated team of conservationists has not only been successful in the reintroduction of various animals and flora species, but they have also taken responsibility to manage and care for the natural resources in the area which they are now custodians of. This awe-inspiring project has incredible ecological diversity with a flourishing array of free-roaming wildlife that desperately need protection from the threats they face. With a dedicated wildlife department, Animal Rehabilitation Centre, Animal Hospital and Rhino Awareness Centre, you will gain unfathomable first-hand experience of true conservation, and get a taste of what it's like to live and work on an active game reserve. These tasks may range from: tracking and monitoring rare and endangered species such as rhino, elephants and predators, working at the acclaimed Born Free Foundation Big Cat Sanctuary, and perhaps even witnessing wildlife veterinary procedures should the need occur. The project is viewed as an environmental-education pioneer, so you can expect to be involved with local community projects, and enriching lectures from a range of experts on-site too! By joining this project, you will be adding incomparable value to a project which has been globally commended and awarded for its inspirational conservation efforts and renowned expertise. You can expect to take part in the following during your time on the Shamwari Conservation Experience. With regular monitoring, it is possible to identify individuals on the reserve and compile information about their family structures, feeding habits and other ecological information. This data enables the team to understand which important decisions need to be made in order to run the reserve in the most efficient way. Telemetry tracking (or tracking using remote sources such as wire or radio) is used throughout Shamwari - particularly with regards to high-profile species like cheetah and leopards, as well as the more elusive species in the area. This information can be used to help avoid human-animal conflict with neighbouring properties that house livestock which carnivores can pose a threat to. In order to restore the reserve to its former glory, you will help to remove old fence lines and nourish degraded and overgrazed land. This activity also sustains the incredible work which the staff and volunteers have already completed on the reserve's 25,000 hectares. You will also remove invasive plant species to further help restore natural biodiversity and reduce fire risks. Shamwari is an important breeding centre for a variety of species. Management here refers to anything from veld conditions assessment, (open country or grassland) mapping of breeding areas and alien vegetation, species abundance and managing water points. 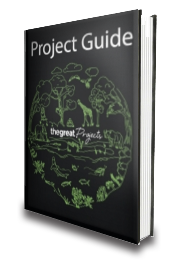 Information collected provides the project with data regarding the health of the surrounding environment and animal ecology. An opportunity will be given on a weekly basis for you to volunteer with big cats (lions and leopards) at the Born Free Big Cat Sanctuary. This world-renowned rehabilitation centre shares an ethos with the Shamwari Conservation Experience which is compiled of a passion for animal welfare and habitat protection. This certainly is a once in a lifetime opportunity. The Shamwari Animal Rehabilitation Centre was set up to aid in the rehabilitation of injured animals found on the reserve and surrounding community. The aim is to give the animals the short term care they need so they can be released to take on life in the wild once more. Please bear in mind that this activity is subject to the needs of the centre during the time of your stay. You will help to educate local communities about the benefits of conserving biodiversity, and stressing the importance of preserving the natural habitats of Shamwari and the surrounding area. Weekly trips are made to the local community to assist in various projects that range from creating and maintaining vegetable gardens, recycling initiatives, painting classrooms and building jungle gyms. Annual game counts are conducted to indicate the carrying capacity of the reserve. In turn this provides information to the project team about predator to prey ratios and their movements, which then provides them with the correct information enabling them to make appropriate management decisions for the running of the reserve. These projects are often undertaken in conjunction with both local and foreign research and academic institutions. These exciting and fascinating projects may range from elephant fertility testing to capturing data on lesser-known species such as brown hyena. The more the project can understand these species, the better equipped they can be to aid their conservation. Volunteers will also help with more general tasks. These can range from game capture and other wildlife veterinary work to orientation and nature walks, right through to sleep-outs on the Big Five reserve! Whatever you are up to, you can expect to be busy at all times on this action-packed game reserve! The program generally runs in fortnightly. However, you may be asked to assist and conduct related weekend duties from time to time. Upon arrival at Port Elizabeth Airport, you will be transferred to the project site where your exciting conservation adventure will begin! Once you have arrived, you will have an enriching welcome orientation and briefing. The rest of the day will be free for you to take the time to comfortably settle in and meet the rest of your fellow volunteers. On project days you will rise early and eat a tasty breakfast at 7.30am before meeting your volunteer coordinator from 8am. Morning activities will then begin which are distributed on a rotational basis. Operations run from 8am to 5pm daily. Lunch is served from 12-1pm each day and you will take part in the afternoon's activities between 1 and 5pm. Evenings (after 5.30pm) and weekends are generally available for you to spend as you wish. Unfortunately, today is your final day! Once you have said your fond farewells to fellow volunteers and facilitators, your transfer back to the airport will depart at 11am for your return flight home, or you will commence onward independent travel plans. While you may not want to leave the project, you will certainly walk away with a lifetime of lasting and precious memories! Select a duration below to see the project start dates. Locally identified as Frontier Country, the Eastern Cape of South Africa had suffered severely over previous centuries as result of hunting, drought and farming on the lands. Several of the first encounters with the iconic 'Big 5' are said to have been documented here, however, most of the species of fauna and flora were eliminated (with the exception of a few species) before the project team came to the rescue. The Shamwari Conservation Experience was established to return the land to its former glory including the wildlife species that once roamed freely. Over the past twenty years a dedicated team of conservationists have not only been successful in reintroducing and extensive range of wildlife back into the lands where they truly belong, but have also taken responsibility to manage and care for the natural resources of which they are now custodians. 2017 was a successful year for this incredible conservation project in South Africa, as they continue to rescue wildlife in dire need of care, such as lions, baby elephants and orphaned rhinos. The reserve has also welcomed the births of many new residents - including Berry the baby elephant! Additionally, Shamwari has been placed on the list of Africa's Sustainable Tourism Gems as well as even managing to donate essential supplies to the victims of the Garden Route Fires in June! NEWS: New Baby Rhino Discovered On The Shamwari Conservation Experience! Game ranger Jessica Tyrer has recently discovered a new-born black rhino on the reserve at the Shamwari Conservation Experience! This World Animal Day 2018, we'll be focusing on South Africa - one of the most conflicted countries with regard to animal protection, conservation and trading. As we discuss why, we look into whether or not unity can ever become widespread across Africa. With a global spotlight on the continent and pressure to improve, maybe there is hope yet for South Africa's most at-risk species to survive. Volunteers will be staying in the guest centre which contains 15 twin, en-suite rooms. The guest centre contains a plunge pool, a dining area, a common lounging area fit with cable TV and a DVD player and a boma and fire pit area which is available for use by all volunteers. A laundry service is also available and wireless internet can be obtained at an additional cost. 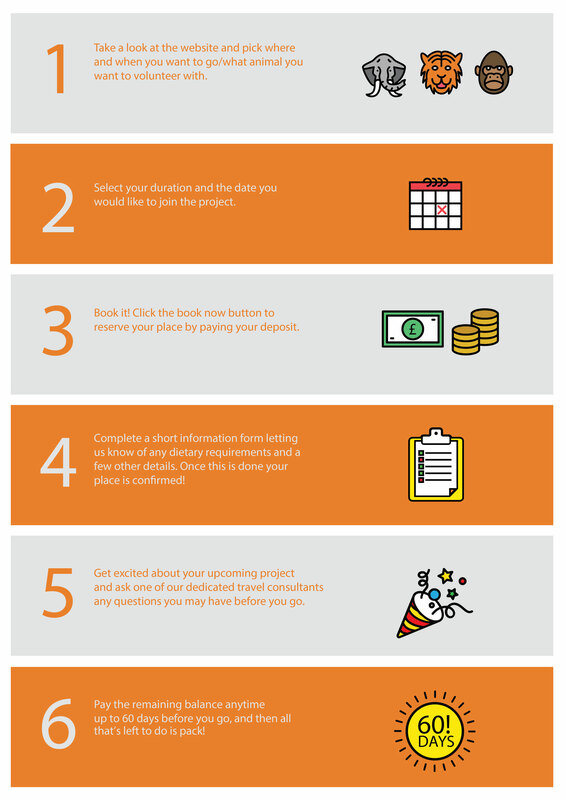 Three meals per day will be provided during your time on the project. Bottled water and soft drinks will need to be purchased from local trading stores which are open daily. There are no facilities to service Kosher or Halal requirements but the supply of such meals can be serviced at an extra cost. Please, however, be sure to advise the team of such requirements with plenty of notice to ensure your dietary needs can be met for the duration of your stay. We recommend that you come with a moderate level of fitness as the days are jam-packed and you will be involved in a whole host of activities, so don't be afraid to get your hands dirty! No specific skills are required for you to be able to take part, all we ask is that you arrive with a willingness to get involved with tasks and a dedication to wildlife conservation. The vaccinations required will depend on the individual needs of each volunteer. We recommend that you consult with your GP regarding your own immunisation needs as this will ensure you are protected and prepared to travel. In conjunction with this, we would recommend that you check Fit for Travel’s website for more helpful information on what you need to do before your departure. Nearly all of the activities take place all year round with the exception of the community-based projects; schools are closed in South Africa between mid-December and early January. Therefore, if the community projects associated with the Shamwari Conservation Experience are on your bucket list, then volunteering on the project at this time of year should be avoided. There is not a big difference in daytime temperatures throughout the year around the project area. These can reach 35°C (74°F) but average 20 – 25°C (68-77°F). Night time temperatures are affected by the seasons with the winter months (*June, July and August) dropping between 5-10°C. The rest of the year temperatures average between 13 and 18°C (55-64°F). Whilst it does not rain heavily for long periods of time, February and March are definitely the wettest months, with October and November remaining extremely dry. The easiest way to get here is to arrive into Johannesburg (O.R. Tambo International Airport), and then book a connecting domestic flight from Johannesburg to Port Elizabeth. The project is approximately 1 hour (75 kilometres) from Port Elizabeth Airport. Please ensure that you book flights to arrive in Port Elizabeth by 12.30pm on your project start date. You will be met by the coach office in the arrivals area and transferred to Shamwari at 1:00pm. Your return flight needs to be after 2:00pm to ensure enough time to get to the airport from the project site from which you will depart at 11am on your final day. Please bear in mind, airport transfers are NOT included in the project price and cost 675 Rand each way. Holders of UK, most other EU countries, Australian, Canadian and USA passports do not require a Visa for South Africa. Upon entry, you will be issued with a 3- month permit (at no cost). Make sure the correct date and length of stay in the country is entered onto your visa when at immigration. If you are travelling from Albania, Belarus, Bulgaria, Cyprus, Croatia, Hungary, Poland, Russian Federation, Romania, Slovakia, Slovenia, Algeria, Angola, Comoros, China, Egypt, Guinea, Ivory Coast, Kenya, Mexico, Madagascar, Morocco, Mozambique, Paraguay, Rwanda, Tanzania, Thailand, Tunisia or Vietnam, you will require a Visa and should consult your South African embassy. The currency in South Africa is the South African Rand. The exchange rate is around 1 ZAR = 0.06 GBP, 0.07 USD, 0.07 EUR. Please note exchange rates are subject to change. I wish I could have spent more time as there was a lot of community work whilst I was there for my 2 weeks. Personally I am more comfortable with the conservation activities. Having said that I realise the support and involvement of the local community is essential for these projects to flourish. Most volunteers were very affected by the swap shop experience - seeing small children bringing bags of rubbish to swop for shopping credits was incredibly humbling. It was amazing to visit Born Free North and see the fantastic work being done there to support cats that have been rescued from dreadful conditions. There will be a new arrival any day now - King is coming here to spend the rest of his life in peace and comfort. Be prepared to spend quite a lot of money at the weekends as the taxi journey to Port Elizabeth is quite expensive, especially if you are unable to share with others. Addo elephant park is a must visit. I went to Plettenberg bay on my second weekend and did zip lining for the first time aged 60! Push yourself to the max and you will get the most out of this marvellous experience. Thank You For Everything - I can't Wait To Book Another Trip! I loved all of it! Everyone was so friendly and welcoming, and I have made some great friends at the same time. This was my first trip travelling alone and has caused me to want to do more. This was better than I ever would have expected. Thank you to all! I Loved Every Minute Of My Experience! The highlight of my trip was caring for the rhinos on the reserve and I even got to put eye drops in the adult rhino's eyes! My trip to Shamwari was truly the most amazing experience of my life! On the whole, I had a good time at Shamwari.I was a bit apprehensive, to begin with me being a lot older than my fellow volunteers but after a while, I became one of the group. It was a special experience to witness 2 orphaned elephants at the Animal Rehab Centre! Shamwari Conservation Experience was the most amazing experience of my life! My favourite memory was going to the born free foundation with amazing people who have come together from all around the world. I would recommend it to anyone who has a passion for animals and/or conservation. Being able to see rhinos, along with so many other animals in the wild, and simply watching them in their natural habitat was one of the most amazing experiences, which I will never forget. My 3rd Great Projects adventure and I love it! I will never forget the game drives & wildlife, the weekend trips, pony trekking on the beach and whale watching - fantastic! I made great international friends and much much more! The Born Free Foundation is a dynamic international wildlife charity, dedicated to saving lives, stopping suffering and protecting endangered species in the wild. South Africa, also known as the 'Rainbow Nation', is one of the continent's biggest attractions. With a surface area of over 1.2 million square kilometres, there is plenty of space to explore, and if scenery is your thing, then you've come to the right place: South Africa has it in droves. On the one hand, you have the stunning scenery of the Drakensburg Mountains, a mystical place that wouldn't look out of place in a Lord of the Rings type tale. On the other, you have the arid Kalahari Desert on Namibia's border. This is a major attraction and a must see on any trip here. Moreover, South Africa also has unparalleled opportunities for wildlife watching – particularly in private game reserves like Shamwari. Here, you'll be able to see all of the big five in one of the biggest wilderness areas anywhere on earth. Going to sleep with the roaring of lions and the whooping of spotted hyenas is common practice here: quite the experience!